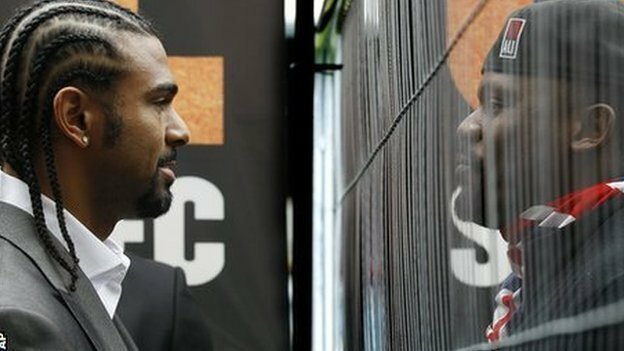 One of the organisers of the David Haye-Dereck Chisora bout says "at least" five other bodies have offered to sanction the event should the Luxembourg Boxing Federation pull out. The LBF is overseeing the London fight against the wishes of domestic body, the British Boxing Board of Control. The federation will meet on Tuesday to discuss its role in licensing the bout. Pressure on the LBF increased at the weekend following an European Boxing Union threat to expel the federation should the July 14th event go ahead. But promoter Bruce Baxter told BBC Sport: "There were [other] European federations that approached me. In light of the EBU move and the potential for the LBF to quit the bout, Baxter said: "I have been approached by at least five other federations who would love to license and sanction this fight. "One thing is 100% certain. Subject to both boxers being fit, come 14 July at West Ham there will be a properly regulated and sanctioned show involving Mr Chisora and Mr Haye. "There is no question, because nobody is doing anything illegal. It will be sanctioned by a governing body." Neither Haye nor Chisora hold a British boxing licence, with Chisora suspended in February after the duo brawled in Munich..
Frank Warren, who manages Chisora, insist there is nothing illegal about the fight being licensed by the LBF rather than the BBBoC. Premium sports center is a publication of The Trillionbucks Company. (Please visit www.thetrillionbuckscompany.org to learn more.) This is where Premium Sports Analysis meets Premium entertainment.